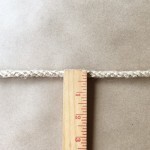 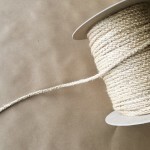 This is a Jute Twist Cord measuring 1/4 inch. Request with our without a lip in checkout. Price is per yard 36 inches.